Damascus (Syria) (AFP) - As Syrian rebels evacuate their holdout town of Douma, hope is dwindling that four iconic activists and hundreds of others suspected to have been kidnapped there will be found alive. Jaish al-Islam has released 200 detainees as part of an evacuation deal reached Sunday, but the fate of several thousand more is unknown, including four human rights defenders. Razan Zeitouneh, Wael Hamada, Samira Khalil and Nazem al-Hammadi were abducted by unidentified assailants in December 2013 from the office of a rights group they ran together in the town. Residents largely blamed Jaish al-Islam but the group has denied involvement. "We're even more afraid now that Jaish al-Islam has practically handed over Douma to the regime and we haven't heard anything," Hamada's brother Basel told AFP. The four played an active role in Syria's anti-regime uprising since 2011 but were also documenting violations by Jaish al-Islam. "There's this helplessness. We sent letters to countries, ambassadors, leaders, kings" but no one was able to help, said Basel. Rumours circled for years that the four were dead, had been transferred elsewhere, or swapped for rebels jailed by the government. "I expect I'll never see them again. I hope I turn out a liar and they're still around and will be freed. But my brain is telling me they're either dead or with the regime," Basel said. Seven years into Syria's devastating civil war, thousands of people are still missing, with families in the dark about whether they are dead of alive. Syrian lawyers in Germany who closely followed the case of the "Douma Four" also told AFP they had little reason to believe they were alive. "What I'm most afraid of is that they were executed from the beginning," said human rights advocate Michel Shammas. And Anwar al-Bunni, who was represented by Zeitouneh when he himself was held in regime prison before Syria's uprising, sounded despondent. "There is no hope we will learn of their fate, wherever they are," said Bunni. "Daesh (Islamic State group) is gone but we still don't have details on Father Paolo," he said, referring to a Jesuit priest kidnapped by IS in 2013 and whose whereabouts remain unknown. Since February 18, the regime has ousted rebel groups from their onetime Eastern Ghouta bastion through deadly bombardment and evacuation deals. Under these Russia-brokered agreements, people taken hostage by the rebels have slowly been released. 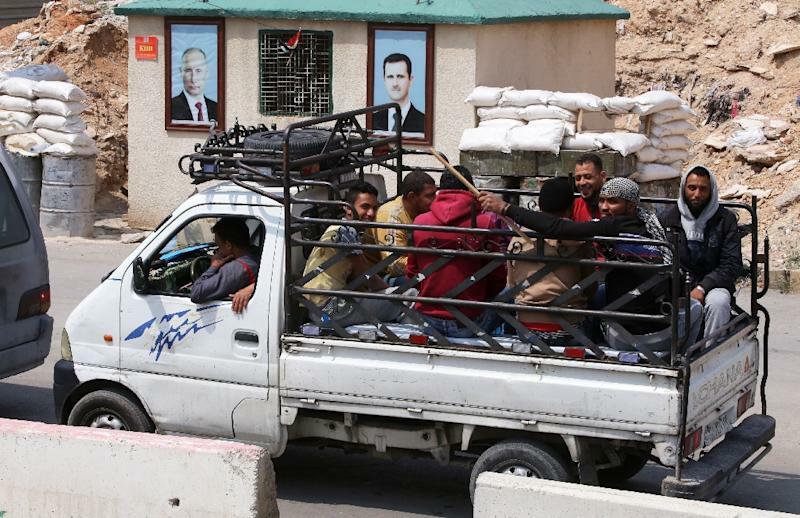 Douma was the last rebel-controlled pocket and while some detainees have been released by Jaish al-Islam, some 3,000 remain unaccounted for, according to the Syrian Observatory for Human Rights war monitor. They included people captured by Jaish al-Islam in December 2013 from the industrial area of Adra, some of whom had been placed in metal cages in public squares as "human shields". Some of them were released by Jaish al-Islam this month and reunited with their relatives in Damascus. 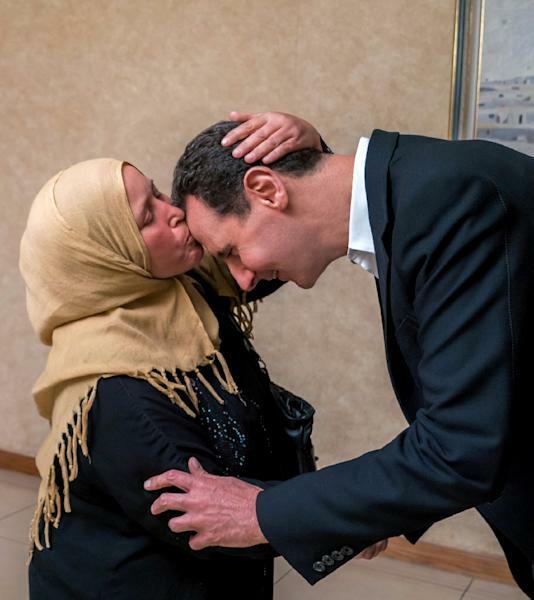 Others were never released, and President Bashar al-Assad met with their families this week to offer support. "We will not abandon any missing or kidnapped. If he is alive, we will free him, whatever the cost," Assad said. Rights groups have continued to make appeals for the release of all detainees, including the "Douma Four". Amnesty International, the International Committee for the Red Cross and Human Rights Watch all told AFP they had no details on the four. HRW's Syria researcher Sara Kayyali said the four activists did not appear to have been discussed as part of talks over Douma that took place between Jaish al-Islam, the government, and Russia. "Concerns about them not being included in negotiations wed into larger concerns about how effective these prisoner exchange agreements are at resolving Syria's long standing detentions issue," said Kayyali. The Violations Documentation Centre, where the four were working when they were abducted, issued a joint appeal last week for any information concerning them, as did the husband of one of the "Douma Four". 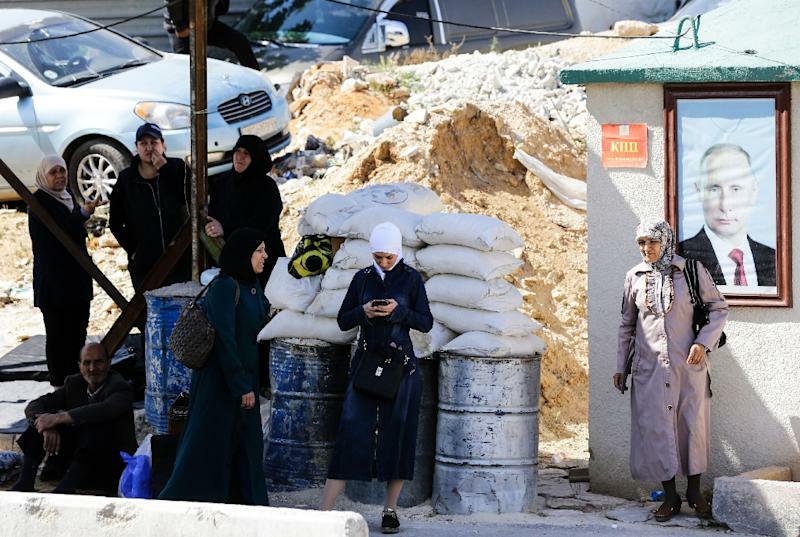 "I would have preferred an internal dissolution of Jaish al-Islam, resulting in your liberation along with Razan, Wael, and Nazem," Yassin al-Haj Saleh said in a letter addressed to his wife, Samira Khalil. "But the time for such hopes has now passed."